The Lee family feud: Will it impact Singapore’s pristine image? By now, the news of the Lee family feud has spread like wildfire. Global and regional media outlets such as South China Morning Post, Financial Times and The Star Online have all covered the news of the dispute between Prime Minister Lee Hsien Loong and his siblings. In the latest development, PM Lee said in a Facebook post that he is very disappointed that his siblings chose to issue a statement “publicising private family matters”. He also denied the allegations, especially the “absurd claim” that he has political ambitions for his son. He added that the statement by his siblings hurts his father, Lee Kuan Yew’s legacy, but he will “continue to do right by parents”. 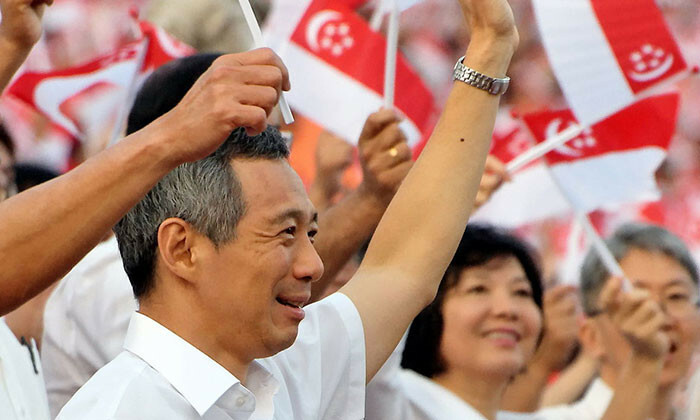 “At the same time, I will continue serving Singaporeans honestly and to the best of my ability. In particular that means upholding meritocracy, which is a fundamental value of our society,” he added. The statement made by the PM on Facebook, resulted in over 2200 shares in just four hours of being published, with many showing support for him. And while the feud is yet to be resolved with the PM being away with his family on holiday, experts from the marketing and branding world are skeptical about any long-term impact on the country’s image, despite the current global media coverage and scrutiny. Goh Shufen, founder of R3 said that the public feud is at the end of the day a private matter, and members of the public can “empathise with the complexity of family disputes”. While this is an “unfortunate and disappointing” outcome, it is too early to form conclusions on how this may impact Brand Singapore. “The allegations are on a private matter, not on the government. We’re still the only Asian country in the top 10 of least corrupt, and ahead of Britain, Germany and US,” she said. He added that more than anything else, the Singapore government has always demonstrated impressive resilience. As such, he doesn’t forsee any foreign companies thinking twice about their present or future investments. “As the situation stands, the issue strongly comes across as a genuine – if deep – family rift,” he said, adding that most people will see it in that light. He added that the one caveat that influences everything – including the image of “Brand Singapore” is how long the issue lasts. The longer this continues the more likely a private family disagreement can morph into a damaging public liability. Nick Foley, president, SEA and Japan, Landor Associates added that there is “nothing particularly remarkable” about the comments made by the Prime Minister’s siblings. He added the broader comments regarding the difference between father and son is unlikely to have any impact on “Brand Singapore” and the stability it brings with it. Perhaps this is a topic that is better aired at the family dinner table, as opposed to the nation’s broadsheets. The news of the family drama first broke in the wee hours of the morning, while the PM and his family was on holiday. This is the statement put out by Lee Wei Ling. The statements put out by Lee Hsien Yang and Lee Wei Ling question the character, conduct, motives and leadership of their brother, Lee Hsien Loong and the role of his wife, Ho Ching. The document also centres around the dispute over the demolition of Lee Kuan Yew’s house at 38 Oxley Road. Malaysian consumer confidence has risen in the second quarter of this year, according to a recent report by Nielsen. ..
Bickley was in charge of the buybacks of Coach retail businesses in China, Hong Kong, Macau, Singapore and Malaysia. ..
PIKOM, the National ICT Association of Malaysia, has appointed Pi PR Consultancy to drive its campaign for the year. .. The submission site is now open!..